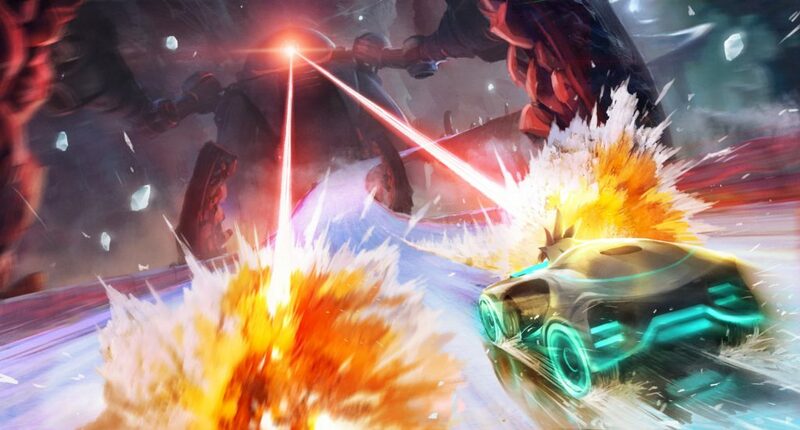 SEGA has released a new piece of concept art through the Sonic the Hedgehog Twitter account, which shows Silver dodging lasers on a new tracked called “Frozen Junkyard.” The track appears to be a frozen path suspended over a bottomless pit, with a robot that looks like an amalgamation of Sonic Forces’ Death Crab and Death Egg Robot sentinel acting as a stage hazard. It’s hard to tell exactly what past Sonic stage this track is based on. SEGA itself hasn’t revealed anything beyond this piece of concept art and the name. Could it be based on Sonic Forces’ Space port? Or something brand new? Stay tuned to Sonic Stadium for updates.